Graphics: Integrated graphics processor - Intel® HD Graphics support; Multi-VGA output support: HDMI, DVI-D, D-Sub ports; - Supports HDMI with maximum resolution 4096 x 2160 @24Hz / 2560 x 1600 @60Hz; - Supports DVI-D with maximum resolution of 1920 x 1200 @ 60Hz; - Supports D-Sub with maximum resolution 1920 x 1200 @60Hz; Supports up to 2 displays simultaneously; Maximum shared memory of 1024 MB. 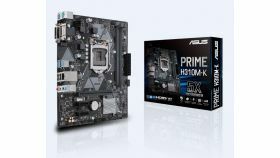 CPU's supported: LGA1151 socket for 6th Generation Intel® Core™ i7/ i5/ i3/Pentium®/Celeron® Processors; Supports 14nm CPU ; Supports Intel® Turbo Boost Technology 2.0* ; * The Intel® Turbo Boost Technology 2.0 support depends on the CPU types. 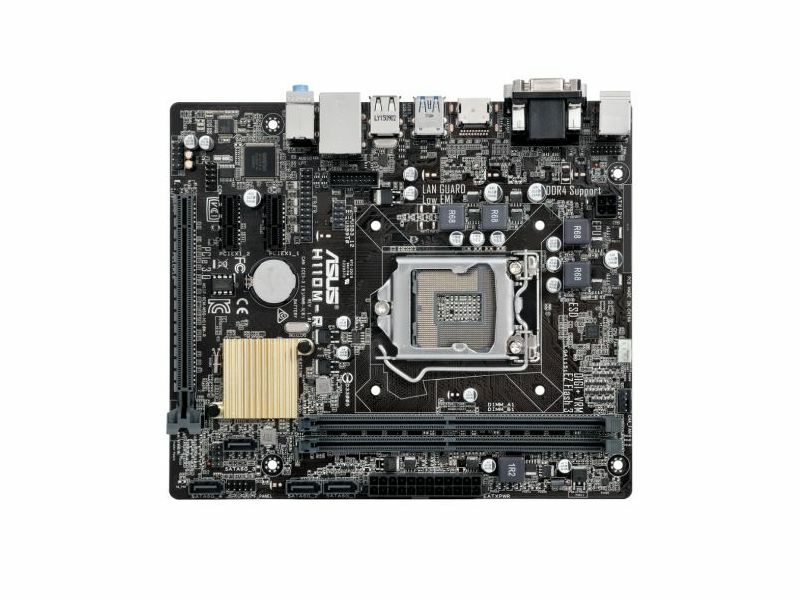 Expansion Slots: 1 x PCI Express 3.0/2.0 x16 slot (@ x16 mode); 2 x PCI Express 2.0 x1 slots. 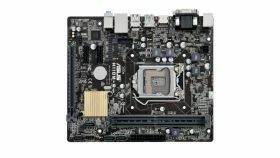 Storage: Intel® H110 Chipset and Intel® Rapid Storage Technology 14 support*; - 4 x SATA 6.0 Gb/s ports (gray); * This function works depending on the CPU installed. 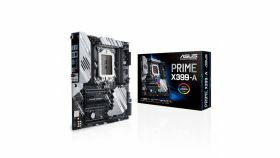 Memory type: 2x DIMM, max 32 GB, DDR4 2133 MHz, non-ECC, un-buffered memory*; Dual-channel memory architecture; Supports Intel® Extreme Memory Profile (XMP); * Refer to www.asus.com for the latest Memory QVL (Qualified Vendors List). 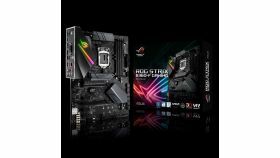 ** Due to Intel® chipset limitation, DDR4 2133 MHz and higher memory modules on XMP mode will run at the maximum transfer rate of DDR4 2133 Mhz. *** The supported maximum memory frequency varies with the processor. I/O: 1 x PS/2 keyboard port (purple); 1 x PS/2 mouse port (green); 2 x USB 3.0/2.0 ports; 4 x USB 2.0/1.1 ports; 1 x HDMI port; 1 x DVI-D port; 1 x D-Sub port; 1 x LAN (RJ-45) port; 3 x Audio jacks support 8-channel audio output; * Use a chassis with HD audio module in the front panel to support a 8-channel audio output. Connectors: 1 x USB 3.0 / 2.0 connector supports additional 2 USB 3.0/ 2.0 ports; 1 x USB 2.0 / 1.1 connector supports additional 2 USB 2.0/ 1.1 ports; 4 x SATA 6.0 Gb/s connectors; 1 x 4-pin CPU fan connector for 4-pin PWM mode; 1 x 4-pin Chassis Fan connector for 4-pin PWM; 1 x Front panel audio connector (AAFP); 1 x COM header; 1 x LPT header; 1 x 24-pin EATX power connector; 1 x 4-pin ATX 12V power connector; 1 x 14-1 pin TPM header; 1 x Speaker connector; 1 x Chassis Intrusion header; 1 x System panel connector. Audio: Realtek® ALC887 8-channel*High Definition Audio CODEC; - Supports jack-detection, and front panel jack-retasking; * Use a chassis with HD audio module in the front panel to support a 8-channel audio output. OS: Windows® 10 (64-bit), Windows® 8.1 (64-bit), Windows® 7 (32-bit / 64-bit) * * Please refer to ASUS official website and download “Windows® 7 installation guide” and “ASUS EZ installer” to install Windows® 7.